Linda Mutti is a presenter at our next member's meeting on September 8, 2018. Join us for the meeting and enjoy Linda Mutti's demo! 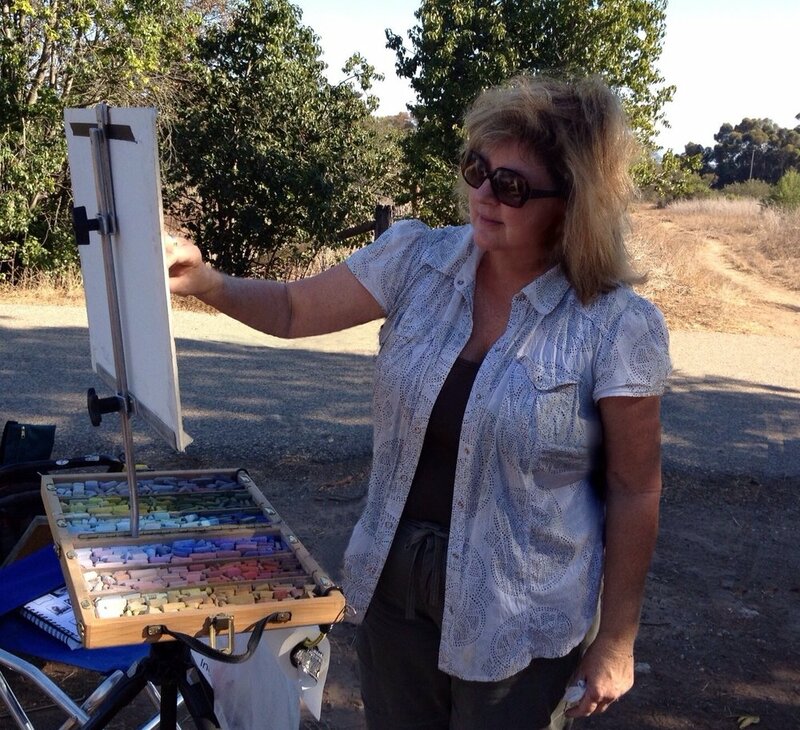 She will be showing how to Free Yourself With A Watercolor Underpainting, focusing on the landscape. The mini-workshop after the meeting is already filled. contact Paula Somma to get on the waiting list! Linda Mutti is an award winning plein air painter that works in oils, pastels and graphite. She has as a passion for interpreting the golden light of the California coast and the western way of life. In 2016, Linda was honored with an Artist Member status in the esteemed California Art Club, Master Circle status with the International Association of Pastel Societies and Member of Distinction with American Women Artists. 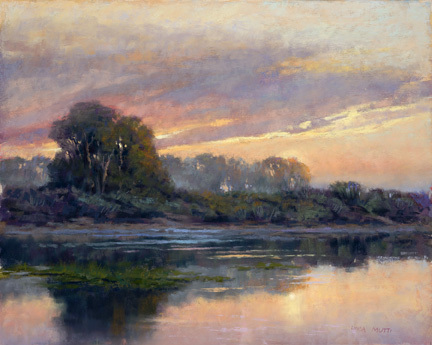 Linda was awarded Outstanding Pastel in the July BoldBrush Competition and was the featured artist for Informed Collector.